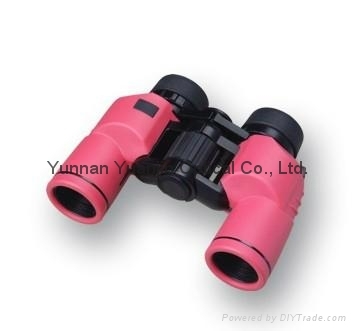 Product features: In appearance, hunting binoculars 8x30,uses navy as main color. Hunting binoculars 8x30’ s appearance color is fresh.Its design is fashion,. hunting binoculars 8x30 is able to bear or endure look.Fine workmanship, performance, 7 to 10 times the magnification is mainstream military telescope ratio.Hand held effect is good, no shaking, use for a long time not dizzy, not dazzling.Telescope internal filling nitrogen, waterproof properties is good, be in damp environment for a long time, and won't cause mildew, which directly affects the service life of the telescope.The parameters of the telescope are really practical parameters, reasonable collocation of different parts, optical imaging is clear, performance is remarkable. Applicable: traveling, watching the scenery, the scene to watch the concert, the game.Forestry, part of the public security patrol.Excellent waterproof performance can meet the outdoor enthusiasts.Regardless of the jungle, valleys, swamps, the hunter camouflage series telescope can satisfy all your needs.